Give your loved one a gift she will always cherish. With this gorgeous ring she will not only look fantastic but she will also get a memoir of your love forever. 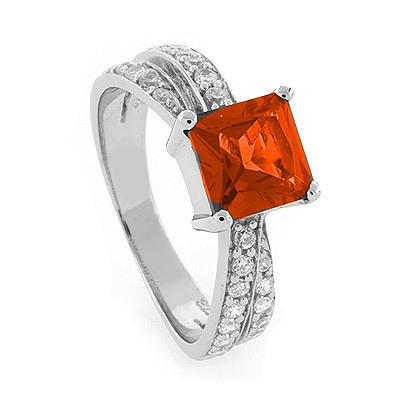 Featuring a Fire Cherry Opal (approx = 2 carat) ( 7 mm ) + Simulated Diamonds on a .925 silver ring. I purchased this ring for my girlfriend, and she absolutely loves it. I don’t know much about jewelry whatsoever, but I can say this is a wonderful, solid item. She really loves the gem into the design, and seems like very unique too.